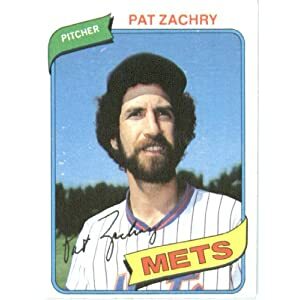 Pat Zachry joined the Mets under some unfortunate circumstances, as part of the team’s haul in the Tom Seaver trade. But Seaver, as far as I know, never sported a beard at all, no less one fine enough that he could stand in for Bob Ross on The Joy of Painting. 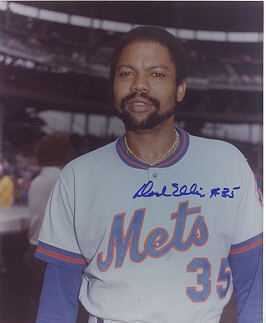 Honorable mentions: R.A. Dickey, Dock Ellis. Scientists at the National Institute of Standards and Technology in Boulder, Colo. have developed a clock accurate to the femtosecond — a million-billionth of a second. 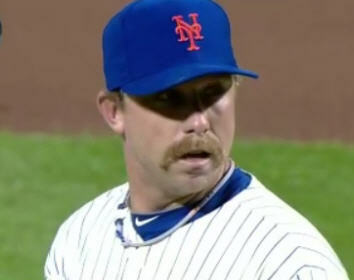 It is not as precise or reliable as Johan Santana’s Van Dyke. Honorable mention: Pete Falcone. This one’s a no-brainer. The only question was which of Piazza’s many facial-hair patterns to choose, but thankfully you guys helped me with it last week. Here are the fruits of your labor. Duh. Here’s something I wrote about Keith’s mustache in 2007. It is among my proudest achievements. 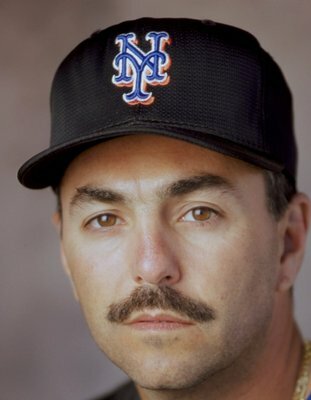 You were thinking Wally Backman, right? WRONG. Backman’s mustache is undoubtedly venerable, but Millan’s is remarkable. Look at that thing. Bonus points for the eyebrows. Guy was like a Puerto Rican Groucho Marx, albeit with slightly less power. You’d think this would be a tougher choice, given the Mets’ historical instability at third base. But until David Wright grows the mustache everyone damn knows he needs that he staunchly refuses to fashion, it’s full-beard HoJo. Runner-up: also HoJo. I’m going to be honest with you: Before endeavoring this exercise, I’d never really heard of Frank Taveras. 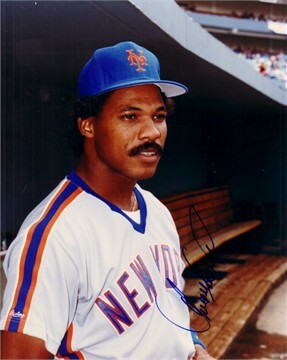 I’ve certainly glanced over his name on baseball-reference pages at some point, but though Taveras was the Mets’ starting shortstop for three seasons in their late-70s/early-80s dark ages, he didn’t do much to distinguish himself in the stat sheets. What he did do, though, was host a tremendous beard. Look at that thing. 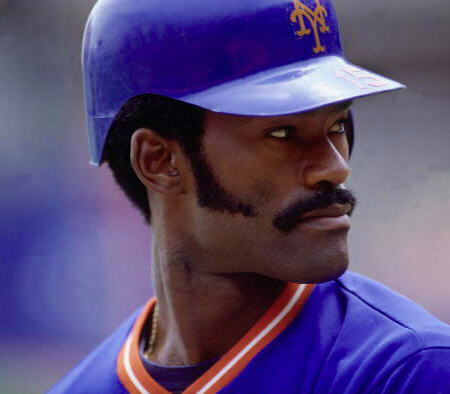 Neither Rey Ordonez’s sideburns nor Rafael Santana’s mustache can hold a candle to it, Buddy Harrelson was pathetically clean-shaven, and Jose Reyes never seemed to settle on one facial-hair configuration long enough for it to define him. Outfield: George Foster, Juan Samuel, Angel Pagan. I was tempted to use occasional beard-guy Dan Norman instead of Pagan here so all three outfielders would be thematically linked as disappointing acquisitions who couldn’t make up for their underwhelming production with great facial hair. But further Google Image searching determined that Norman, like Pagan, did not always rock a beard. And when Pagan did rock a beard, it was so, so good. Plus, bushy beards like Norman’s are well-represented here in Taveras, HoJo and Zachry, where only Pagan kept his neatly angled. Fun fact: John Franco has a mustache even when he doesn’t have a mustache. UPDATE: I didn’t realize this, but Alex Nelson at Amazin’ Avenue put together a full 25-man Mets facial-hair roster just a couple of weeks ago. Alex has good taste in facial hair, apparently, so there’s a lot of overlap. His is more thorough, though, and you should check it out.